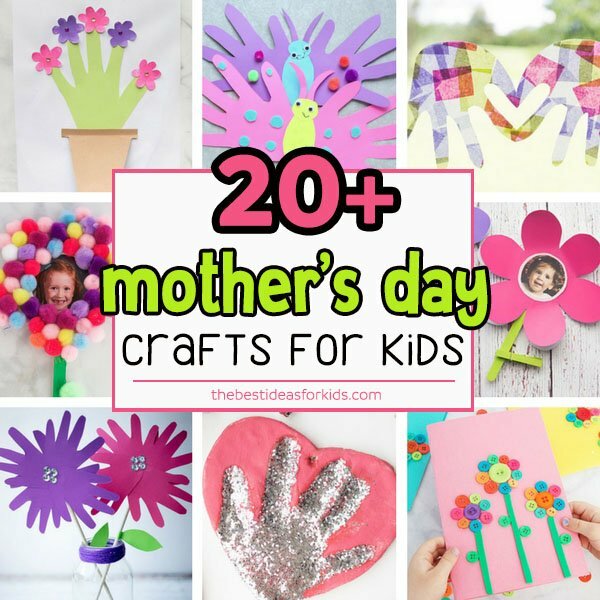 Mother’s day is coming up and we know that kids love making handmade cards. If you are looking for an adorable handmade card idea for mom or Grandma, this button art flower card is just perfect. You only need a few supplies to make these easy cards. Kids of all ages will love making these button flower cards! This would be an excellent classroom activity to make for kids to bring home as a surprise for mom or grandma. Elementary or even preschool-aged students would be able to make these adorable cards themselves. And we love how every card is unique! You could even put these button flowers in a frame for a keepsake that will last for many years. Pull it out and display it every spring! 1. 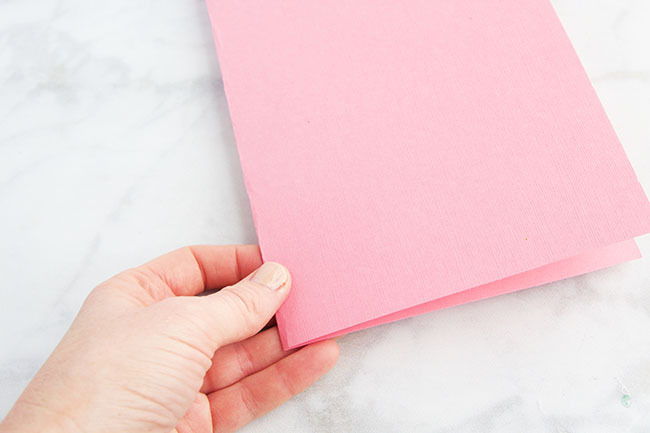 Begin by folding an 8.5 X 11 piece of card stock in half. 2. Cut some small strips of green foam and glue it to the card stock. 3. Glue some large buttons above the green stems, leaving a little bit of space for the petals. You can use white glue to glue the buttons down. Just allow time for them to dry. TIP: We highly recommend this glue as it’s stronger and better for gluing buttons. 4. Glue smaller buttons around the large centers for the petals. 5. Glue green buttons next to the foam strips for leaves. And your card is finished! Allow the glue to fully dry before giving it to that special mom or grandma in your life! Then write your special message inside! 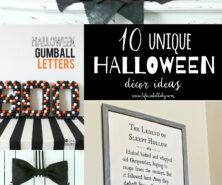 You can even make these as birthday cards too! 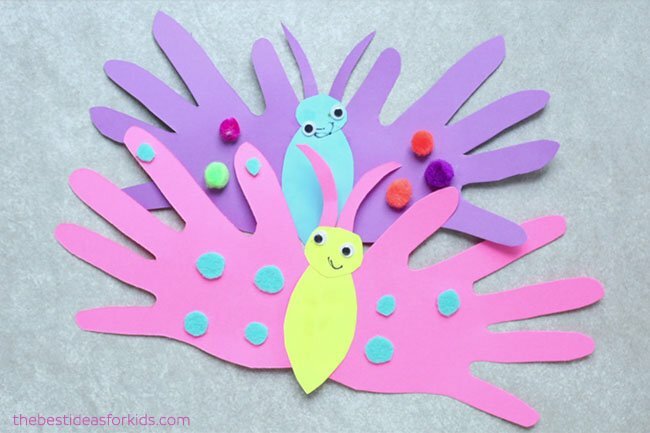 These butterfly handprint cards are so easy and fun to make! Kids will love making their own butterfly card for mom. It also comes with a cute poem to add. 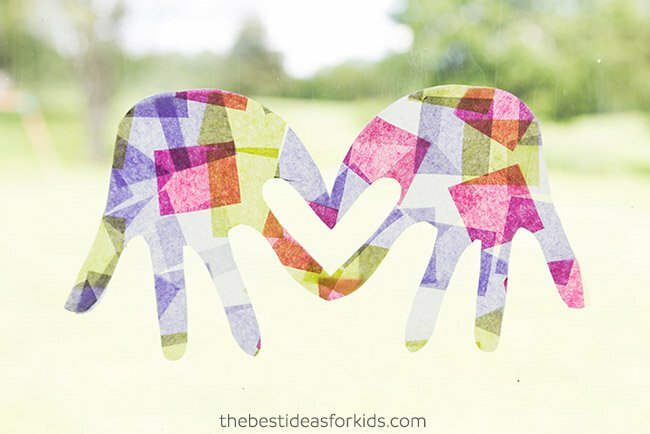 These handprint suncatchers are beautiful and make a great keepsake! 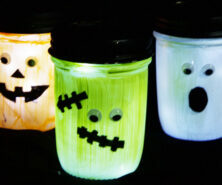 This is also a really fun spring craft to make.